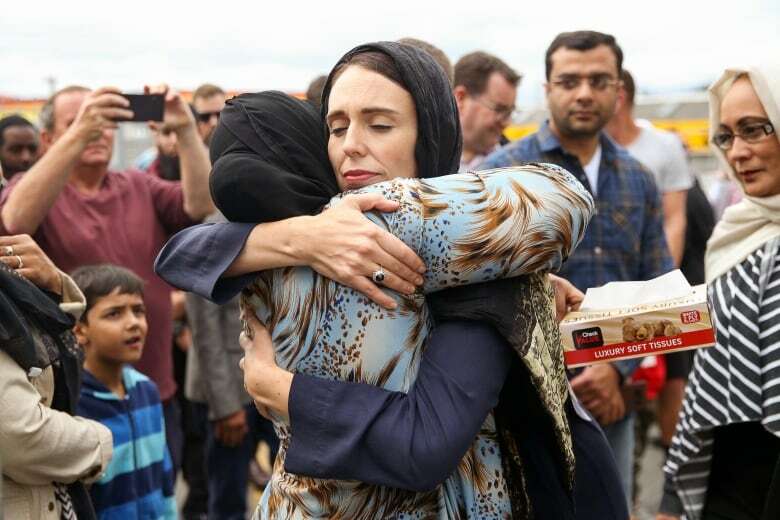 Prime Minister Justin Trudeau spoke on Saturday with Ardern to offer condolences and convey that, "Canada shares the people of New Zealand's sense of grief and loss," in the wake the Christchurch attacks and the 2017 attack on the Quebec Islamic Cultural Centre, the Prime Minister's Office said Sunday. In closing, Prime Minister Trudeau conveyed Canada's offer of support during this difficult time. The two leaders agreed to stay in close touch and to work together on their shared priority of ensuring safe, secure, and open societies. Bush said at a news conference Sunday that they found another body at Al-Noor mosque as they finished removing the victims, bringing the number of people killed there to 42. Another seven people were killed at Linwood mosque and one more person died later at Christchurch Hospital. 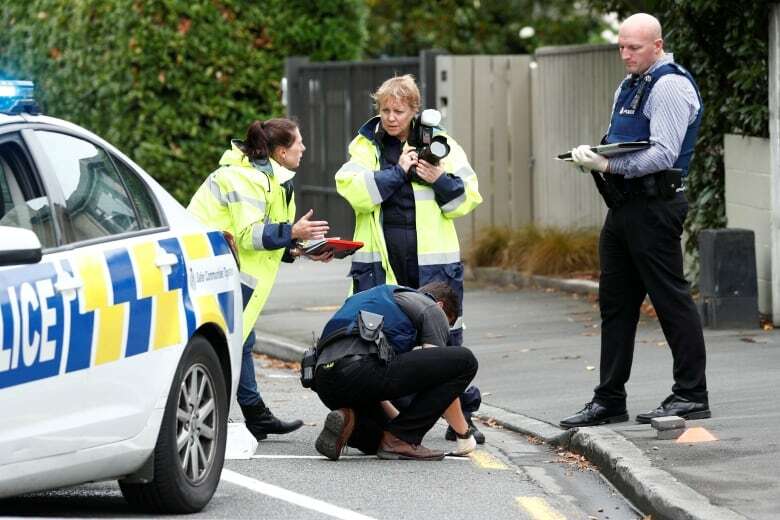 Thirty-four injured victims remained at Christchurch Hospital, where officials said 12 were in critical condition. And a four-year-old girl at a children's hospital in Auckland was also listed as critical. 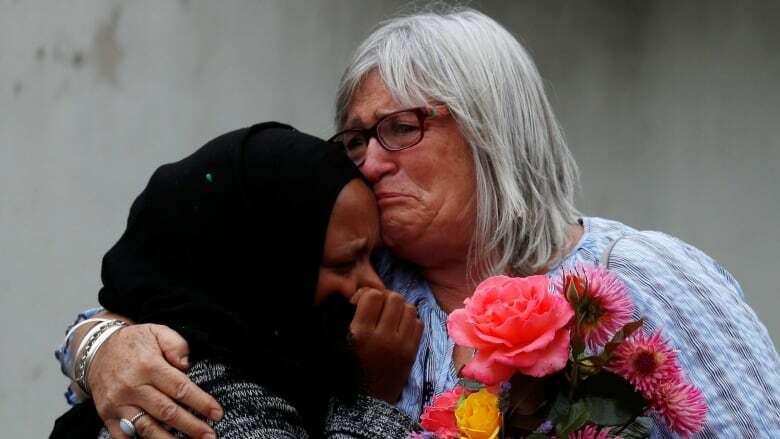 Dozens of Muslim supporters gathered at a centre set up for victims, families and friends across the road from the hospital, where many had flown in from around New Zealand to offer support. About two dozen men received instructions on their duties Sunday morning, which included Muslim burial customs. I pray for the victims of the horrible attack against two mosques in <a href="https://twitter.com/hashtag/Christchurch?src=hash&amp;ref_src=twsrc%5Etfw">#Christchurch</a>, New Zealand. I renew my invitation for prayer and gestures of peace to combat hatred and violence. A steady stream of mourners arrived at a makeshift memorial outside the Al-Noor mosque, where hundreds of flowers lay piled amid candles, balloons and notes of grief and love. As a light rain fell, people clutched each other and wept quietly. The gunman live streamed 17 minutes of the rampage at the Al-Noor mosque, where he sprayed worshippers with bullets. Facebook, Twitter and Google scrambled to take down the video, which was widely available on social media for hours after the bloodbath.